It is league policy to restrict adults from the dugout during games and tournaments. It is the head coach's responsibility to enforce this policy for the safety of all children. Adults who enter the dugout must have a background check on file with the EP Fastpitch Assocation. New Users: Click on Create Profile and then create account. 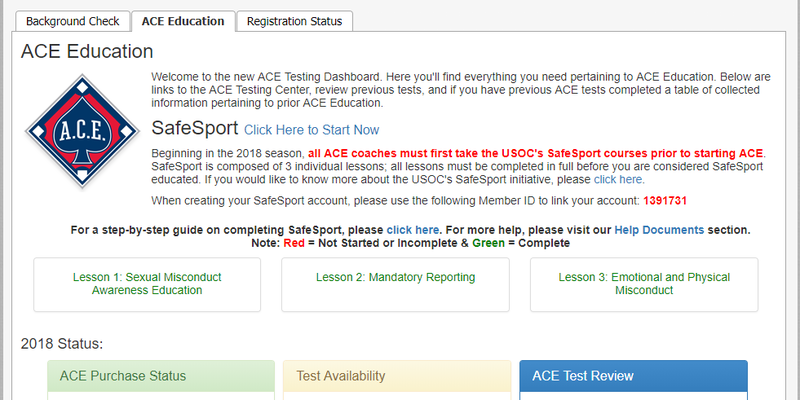 ​Beginning in the 2018 season, head coaches must complete the SafeSport courses prior to starting their ACE certification. Plan on additional time view watch videos, read and complete a quiz. When you complete a lesson, the text color of the lesson will change from red to green. Once you complete all 3 lessons, your annual ACE certification exam is available for "purchase"
Your ACE test will not be available until your background check has been cleared and SafeSport courses are completed. Activate your exam; when complete, send a screenshot confirmation to the EP Fastpitch softball commissioners. It is league policy to restrict adults from the dugout during games and tournaments. 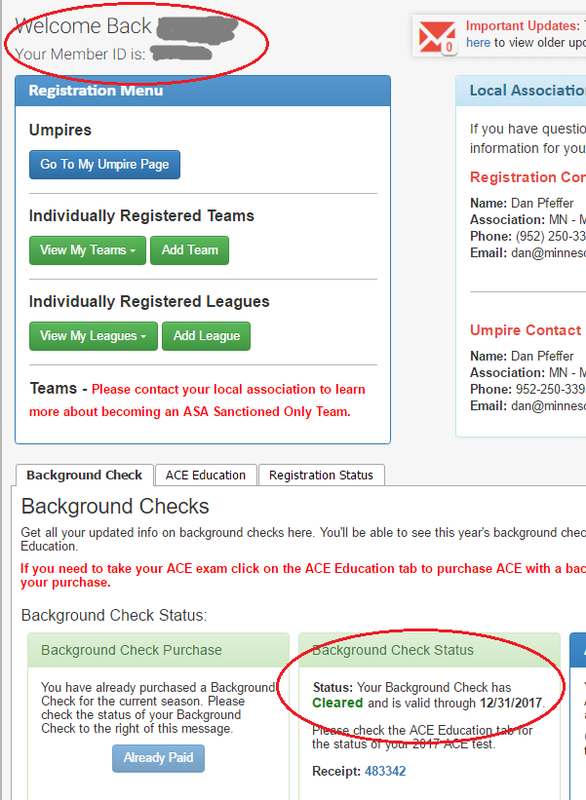 Adults who enter the dugout must have a background check on file with the EP Fastpitch Assocation. Don't know how to take a screenshot on a PC? Minnesota law requires all coaches and officials working with children 18 years old and younger to be trained in concussion management, and for information to be made accessible to all participating coaches, officials, youth athletes and their parents or guardians about the nature and risks of concussions, including the effects and risks of continuing to play after receiving a concussion and the protocols. Upon completion of your concussion training, please send a screenshot of your certificate to the EP Fastpitch softball commissioners. It is necessary to complete concussion training once every 3 years, as new techniques for recognizing concussions may change as advancements in modern medicine are discovered.